This story takes the reader and listener on a journey, following the path of a blown kiss. Over the seven seas, past snow-capped mountains, into deserts and war-torn countries, we are shown that one kiss can multiply, creating unity among people. Another gem from the multi-published author/illustrator team of David Seow and Enrico Sallustio. Look at a map of the world and find deserts, mountain ranges, oceans, etc. What a fun project to do on a hot summer day! You will need: Construction paper, crayons or markers, stapler and scissors. Help your child fold one of the halves several times and cut the pieces. Your child can decorate each small square or rectangle and write: Good for one kiss or Good for one hug. 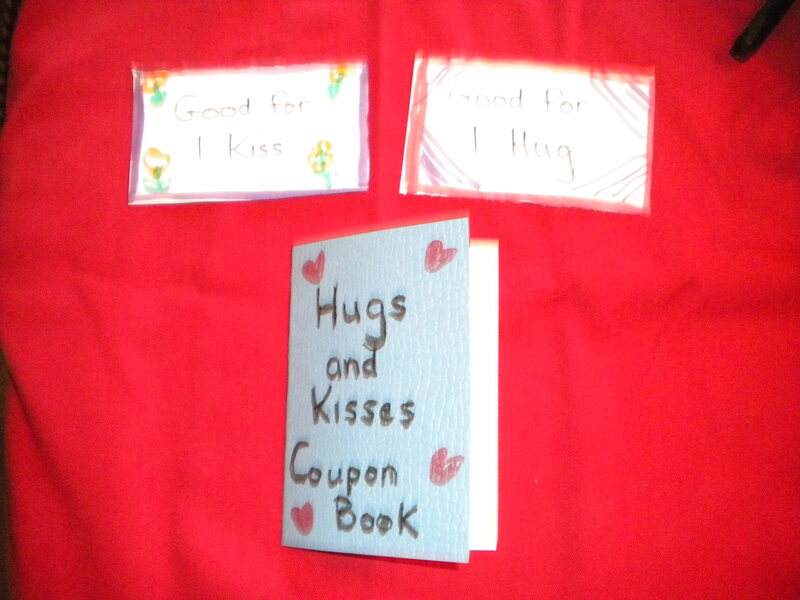 Fold the other half and write on the cover: Hug and Kiss Coupon Book. Stape the stack of coupons inside the book. 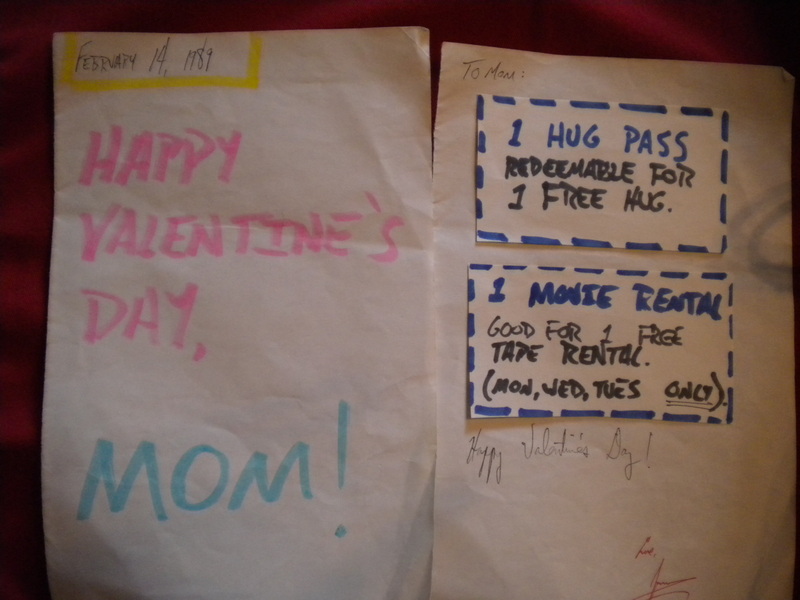 Here is a coupon book my older son made for me for Valentine’s Day almost 25 years ago. 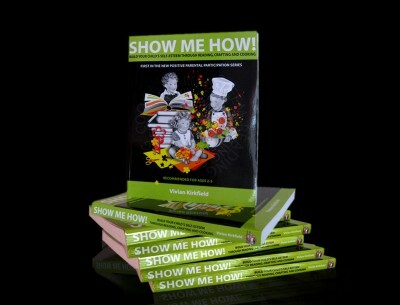 Great simple activities like the one above can be found in the Kindle Edition of Show Me How! ONLY $2.99 SPECIAL SUMMER PRICE. If you would rather have the print copy, you can purchase it on Amazon! Do you want to enrich your child’s summer? Great picture book recommendations, quick and easy craft projects and simple healthful recipes…all in one place! 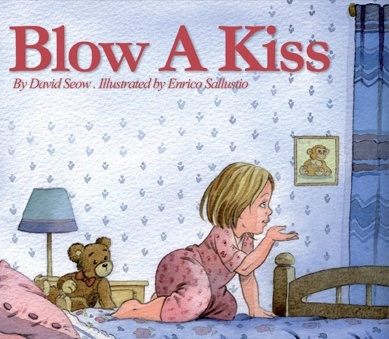 This entry was posted in Craft Activity for Kids, Picture Book Review and tagged author David Seow, Blow A Kiss, Illustrator Enrico Sallustio, Make a Hug and Kiss Coupon Book, Show Me How! Build Your Child's Self-Esteem Through Reading, Summer activities for kids by viviankirkfield. Bookmark the permalink. I LOVE this book. Children of all ages can build on the concept and create stories about where their blown kisses travel, and what they accomplish. Hi Reshama…It was an amazing conference and I got to meet so many wonderful people from all over the world. :) The book is really sweet…I hope you can get a copy! kisses and more kisses. What a sweet sounding book. And powerful as well. thanks for sharing! Kisses really do make it better. :) 🙂 And I loved the multicultural tone of the book as well! I recently read a book with a similar theme with my kids but I can’t remember what it is now, sorry. I love the coupon book idea. A friend of mine gives a coupon book to her son every Christmas and he gets to use them throughout the year. He’s 12 and he still enjoys them, especially when they include things like eat ice cream for dinner, and have a pillow fight! What a fun sounding book. I love your follow-up craft idea, too. Oh, I like this book as it shows how we are connected and what one action ( a kiss) can do if it travels around the world. Great multicultural feel to it. I’m still reviewing a few books too. What a lovely looking book, Vivian! I just love the concept! I’m going to have to read this one! I love your activities too – the coupon book – what a great idea. Thanks so much for introducing me to this one! Oh, this just looks delightful. I liked the book already just from the picture of the cover before I knew what it was about! I absolutely adore the concept! “One kiss can multiply, creating unity among people.” What a beautiful thought! I wonder if this book is available here in Asia! I’m going to have to check!!! I’m so glad you shared about it at Booknificent Thursday! Hope to see you again soon. I’m also thrilled to see that the Kindle version of your book is on sale. I have the paper copy that you sent, but I love having books both electronically and on paper! Yay! 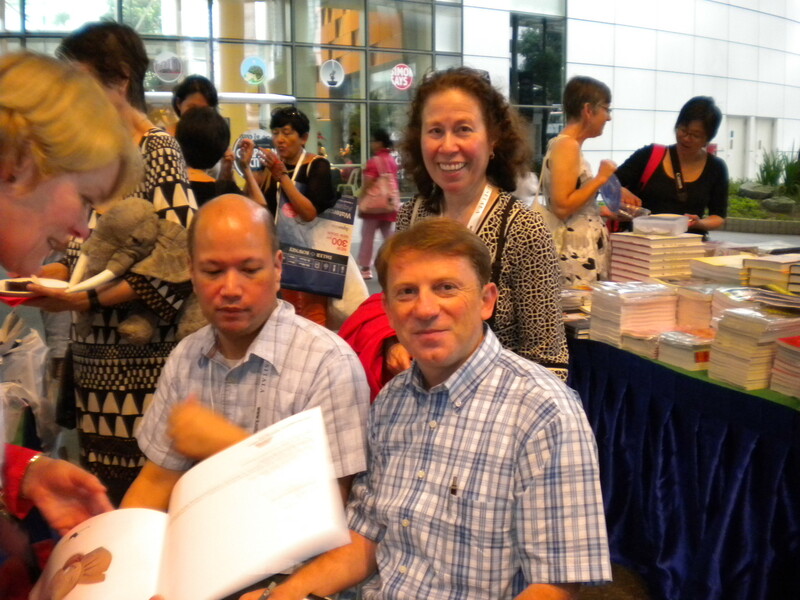 Tina…I think you could probably get a copy of ‘Blow a Kiss’…go to the website of the author, David Seow (he is from Singapore). It is a wonderful story with a great concept and lesson for kids…and everyone. :) Glad you saw that Show Me How is available on Kindle…it is only $2.99 for the summer…what a deal!!!! 🙂 Hope you are enjoying the activities.